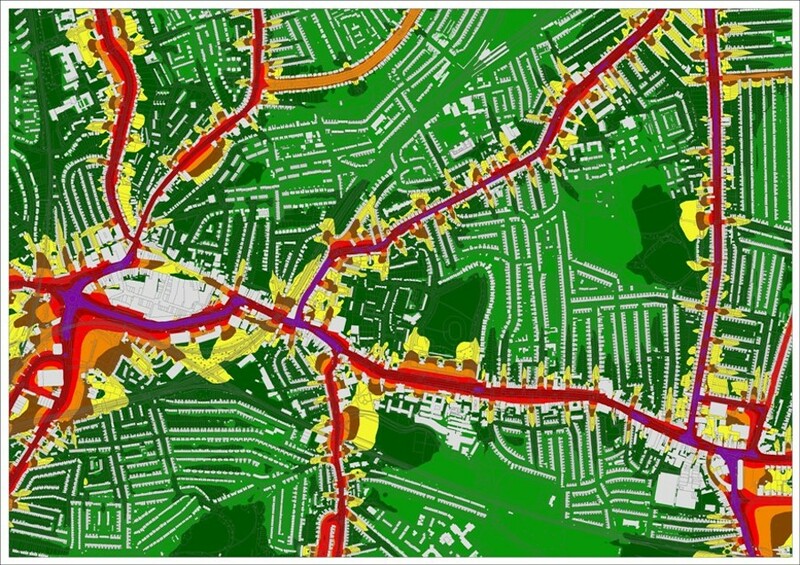 As part of the implementation of the Environment Noise Directive (END) in England, which aims to define a common approach to avoid, prevent or reduce the harmful effects due to exposure to environmental noise, noise mapping was completed by DEFRA for major roads, railways and agglomerates, with an aim to inform subsequent Noise Action Plans. 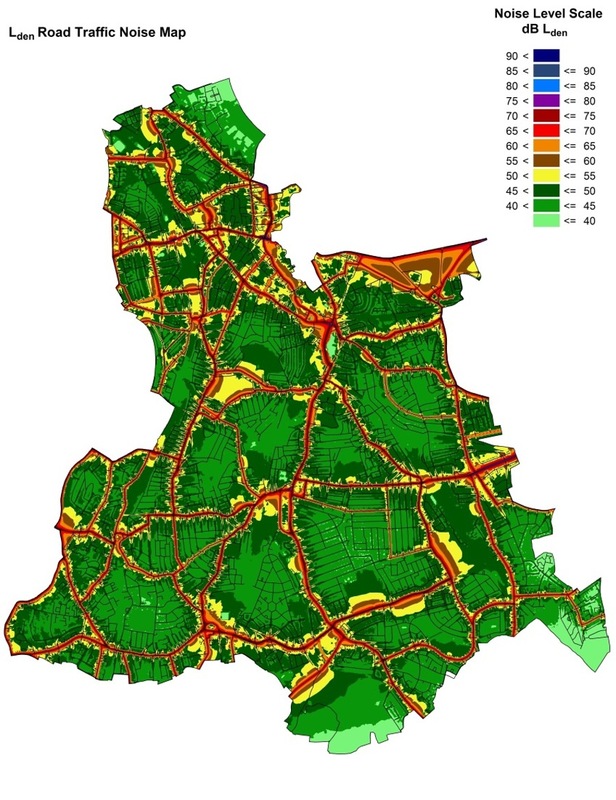 With the completion of the noise mapping (in 2006) as part of the Noise Mapping England project, 'First Priority' locations were identified where noise levels exceeded relevant limit values / criteria. These 'First Priority' locations were envisaged to provide a framework for the relevant authority (generally transport or local authorities) to help target further detailed action. Similarly, at the other end of the scale, the identification and protection of quiet / tranquil locations within urban areas was also discussed as part of the END but little guidance was provided for their identification. 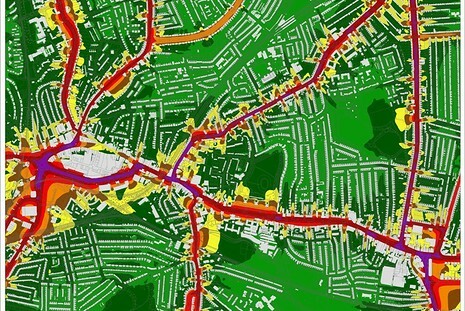 To aid a Local Authority of one of the London Boroughs, Southdowns were primarily commissioned to develop an initial road traffic noise model for the Borough, similar to that of the London Road Traffic Noise Map (LRTNM), incorporating revised up to date information and validation against noise data from monitors deployed in the area. This would allow the Local Authority to have an in-house resource which they might interrogate as, while the supporting documentation for the LRTNM was provided to the Borough, the modelling files were not made available. 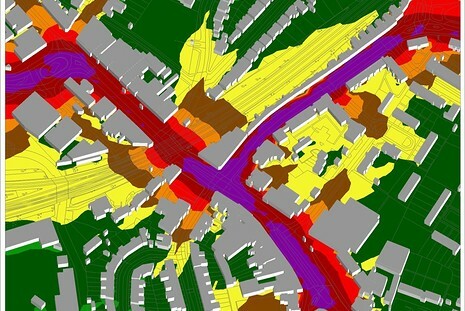 Secondarily, further work was undertaken by Southdowns to focus the noise predictions on two key sites of interest, identified by the Noise Mapping England project as 'First Priority' locations, with this being completed in conjunction to a more accurate revision of a number of model parameters. This revision also allowed for the examination of noise levels across areas identified as quiet / tranquil locales across the Borough and sites proposed for future development. 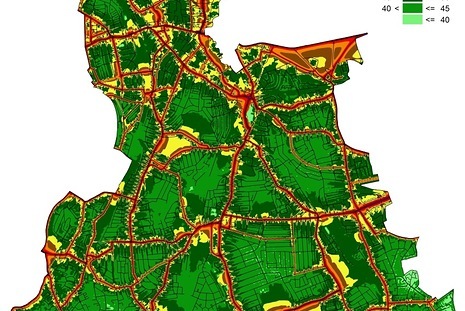 Alongside preparing the noise model covering the borough, Southdowns provided both technical notes discussing the modelling process / assumptions and numerous borough wide and site specific noise contour plots. For certain locations, identified by the Borough as being of particular significance, statistical calculations of the area below a predicted traffic noise level were undertaken. 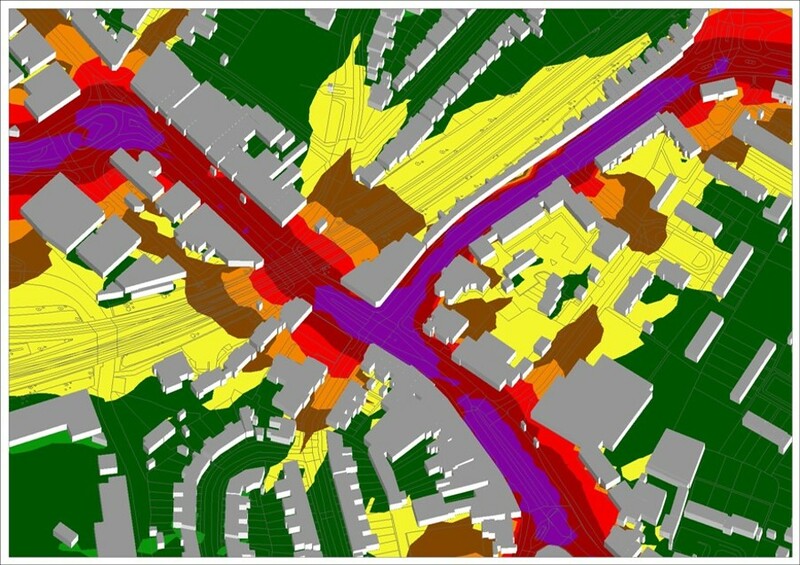 The completed noise modelling, technical notes and noise contours, in addition to providing more detailed noise data to inform on the boroughs 'First Priority' locations and potential quiet areas, potentially allowed the authority to better convey the borough wide exposure of environmental noise, future examination of potential noise mitigation schemes at a local level.